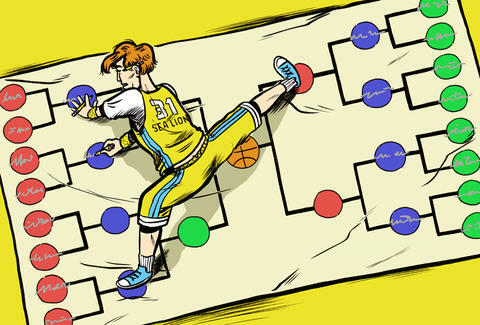 The chances of you filling out a perfect bracket are about 1 in 128 billion. So, yes there is a chance. 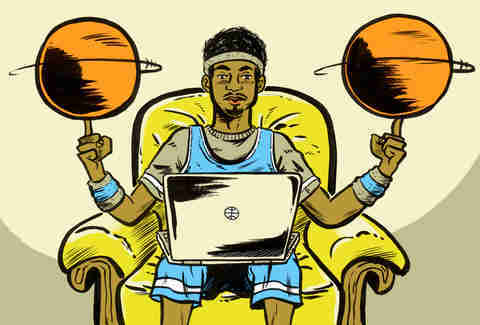 We’re here to try and take the guesswork out of your tourney picks by turning your attention to the things that matter and tuning out the things that don’t. I know, I know, you think this is the year that the scrappy upstarts at Northwestern Tennessee Valley State A&M beat the future 1st round picks at Kentucky or UNC but it just isn’t going to happen. Only a handful of 16 seeds have come within shouting distance of an upset since the tournament expanded in 1985, including Princeton famously getting their Cinderella dreams swatted away by Alonzo Mourning’s Georgetown squad in 1989. In 124 games there has not been one victory for the bracket bottom dwellers, and this is not the year it’s going to change. Don’t blow your bracket on a lottery ticket. What’s not important? Whether some stud freshman has shot the lights out for the last 3 games or how well a team’s fans travel. Also not important? Your uncle Ricky having a “feeling” that Villanova will repeat. The math bears out this finding conclusively. Since the tournament expanded in 1985, 12-seeds have accounted for a full 27% of all upsets and the last time we didn’t have a 12-seed advance to the second round was back in 2007. Overall, 12-seeds have an impressive .359 winning percentage against their first round opponents, though you shouldn’t expect those underdog squads to bust any brackets deep in the tournament: Missouri’s 2002 squad is the only 12-seed that has gotten as far as the Elite Eight. Upsets are going to happen, but chalk cuts down the nets. Since 1985, there’s only been a single all 1-seed Final Four -- 2008, when Kansas, UNC, UCLA, and Memphis met up in San Antonio -- but only twice have 1-seeds been completely absent from the party: 2006 and 2011. And the only times a seed lower than a 3 has won it all since the field ballooned? UConn in 2014 as a 7-seed, Arizona in 1997 as a 4-seed, Kansas in 1988 as a 6-seed, and the legendary 1985 Villanova Wildcats as an 8-seed. Traveling fans may not make much of a difference in the tournament, but a traveling team can certainly have trouble shaking off the rust when they touch down. Of the 10 teams that strayed the farthest from their home courts in the 2016 tournament, only one -- Maryland -- made it out of the 2nd round while seven of them crashed out in their tournament openers. Keep in mind these are still kids who, however focused on victory, suffer competing priorities like class, social lives, and the existential gravity of being a minor celebrity at an age when most of us were worried about talking to a girl for the first time. The only thing you can count on is that something -- and probably a bunch of things -- will go terribly, terribly wrong. UCLA guard Lonzo Ball’s mutant slingshot jumper might stop falling or Kansas guard Frank Mason might remember he is, in fact, bite-sized. The talent gap between teams also shrinks considerably the further you get in the tournament, especially now that Kentucky isn’t fielding the NBDL All Star team in disguise.